Christmas is over and the New Year celebrations are taking shape. This is the season to read lots and lots of year-end ‘top-bla-bla’ lists. Well, we’re gonna do it too; sort of. We will not list our top 10 albums for 2014, or our top 10 live acts. That’s not who we are. Our goal is to bring you the « crème de la crème », which is why our list is very very short. It contains only one name: David August. Now let us tell you why. David young-blood August has been shaking things up with releases on Diynamic for about 5 years now. He especially caught some attention in 2012 with ‘Moving Day’ among other tracks. But it was this year that David really set himself apart from the noise. First, his hugely celebrated live-set in Berlin’s Boiler Room grabbed the collars of many and shook ‘em like a crying baby. And you know what happened? People shut up. People listened. People danced. He put himself so far ahead of so many others with one single set. An absolutely, terrifyingly amazing set. Seriously, if you haven’t heard it yet check it out here. And did you hear ‘Epikur’? Lord Jesus almighty! We posted that one back in March, remember? Not only that, but the remixes he has delivered this year. It seems like every time we play, we’ve got a new David August remix to feed the audience. And it’s always ridiculously good. Grizzly Bear – Yet Again (David August Remix) KILLED us. And what about Kollektiv Turmstrasse – Last Day (David August Revision). Superb. 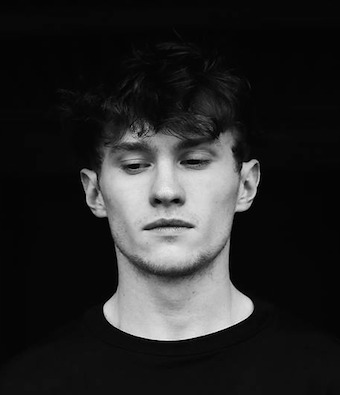 If that wasn’t enough for you then we’ve got one more reason why you should do nothing but hang David August posters in your room starting immediately: Groove Podcast 28 (Innervisions 50 Mix). The brutal elegance of this mix, the understated nature of its carefully manicured selection really sets this one apart from the 9-5 club mixes. From Boards Of Canada to Madonna, he tones it down and not afraid to do so. We are eager to see what 2015 holds for David August. Has he already hit his high point? Can he hold his current flight pattern? How far will he go? We hope to see answers to these questions as the year progresses, and in the meantime we’ll continue posting out personal favorites. So from both of us at Noisy Activities, have a happy and safe New Year’s Eve and a great start into 2015, we’ll see you there!